Just a reminder ... buses sometimes run a bit behind schedule the first few days of school as students and drivers both settle into the routine. Want to know when the bus will reach your stop? You can track your child's bus by downloading the Versatrans My Stop app. If you have questions about transportation, call 651.351.8377. Teacher, staff are all ready for an amazing new year! 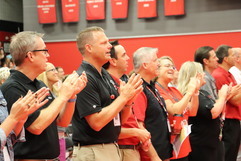 Staff kicked off the year at a rally at Stillwater Area High School last week complete with the pep band playing the school song. Hundreds of staff gathered to hear a welcome back message from Superintendent Denise Pontrelli and board chair Jennifer Pelletier. Staff also heard from special guest speaker Dr. Sharroky Hollie, a national educator who provides professional development to thousands of educators in the area of cultural responsiveness. In a highly interactive presentation, Dr. Hollie talked about shifting teachers' mindsets and he gave them strategies to engage students who are underachieving so that learning is even more student-centered and engaging. Don Hovland was sworn into office on Thursday night. The school board appointed Hovland earlier this summer to fill the vacancy left by Tom Lehmann who was appointed Judge in Minnesota’s Tenth Judicial District. Hovland has more than 47 years of educational experience, including serving as principal of Stillwater Junior High for more than 20 years. 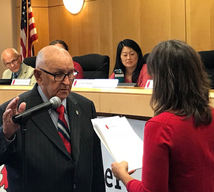 His appointment to the board ends in January, when board members elected in November will take office. 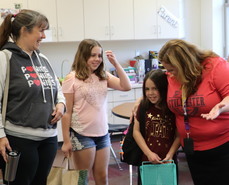 By October 1 of each school year, parents/guardians are required to sign off that they have reviewed the policies, procedures and required notices in the District’s Policy Handbook - find it at stillwaterschools.org/handbook. The handbook includes a variety of information about parental and student rights, expectations and more. Log in to Skyward Family Access to sign the District Policy Sign-Off form. The second annual Pony Homecoming Carnival will be held on Friday, Sept. 28 from 4-6:30 p.m. at the high school. This family-friendly event features inflatables, carnival games, activities, food trucks and more. All are welcome! 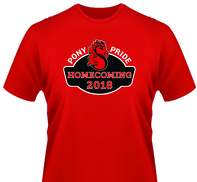 Pre-order your shirt online at ponypride.org (online orders close Sept. 9). You can also buy a shirt at Heritage Embroidery starting Sept. 10. High school students may purchase t-shirts at the high school starting Sept. 19. September 28 - 2018 Homecoming Carnival at Stillwater Area High School. See Facebook event.